For the last sixty-eight years, India is facing security threats all along the Himalayan Frontier following Communist China’s invasion of Tibet. India has no border with China. 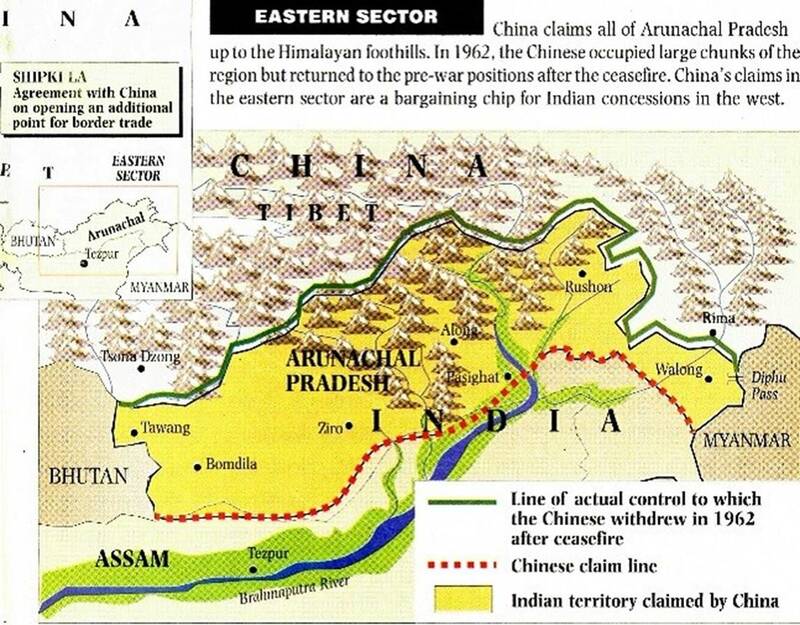 The border disputes between India and China simply describe the fact of Chinese Aggression in Tibet. Indian troops deployed along the disputed Sino-India border in the Himalayan range of the Arunachal sector have increased their patrolling at a tri-junction of India, China and Myanmar to prevent a repeat of a Doklam-like standoff. Top Army officials told PTI that the tri-junction, located around 50km from Walong, the easternmost town of India near the Tibet region, is extremely important for India to help it maintain its dominance in the nearby mountain passes and other areas. "After the Doklam standoff, we have increased our presence on India’s side of the tri-junction as it is very important for us from the strategic dimension," a senior Army official said. He said Chinese troops did not enter the Tri-junction too frequently but had developed a road infrastructure near the area which could be advantageous for the mobilization of army personnel. 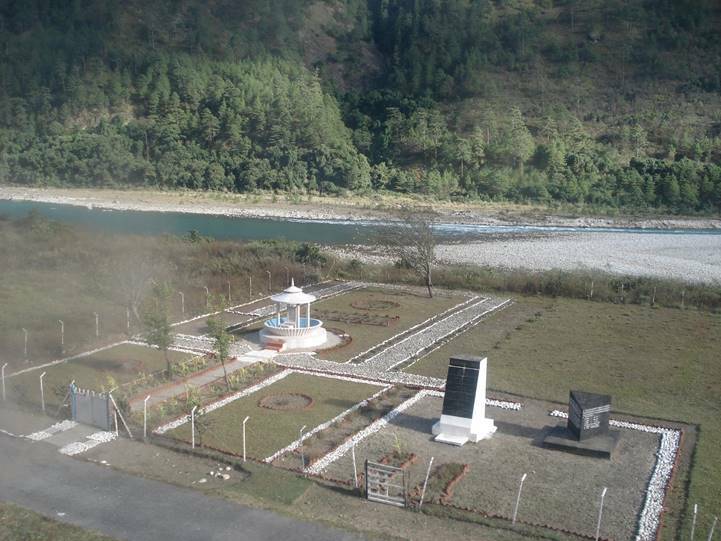 Walong, situated on the bank of Lohit river, had witnessed the bravery of Indian troops against Chinese aggression during the 1962 war between the two countries. The deepening of military engagement between China and Myanmar was another reason for India ramping up its presence at the tri-junction with thick rainforests on the Himalayan ranges. The official said Myanmar’s border guarding forces did not patrol the tri-junction. "After the tri-junction in Doklam in the Sikkim sector, this is the most important tri-junction along the Sino-India border," he said. Troops of India and China were locked in a 73-day-long standoff in Doklam from June 16 last year after the Indian side stopped the building of a road in the disputed area by the Chinese Army. The face-off ended on August 28. 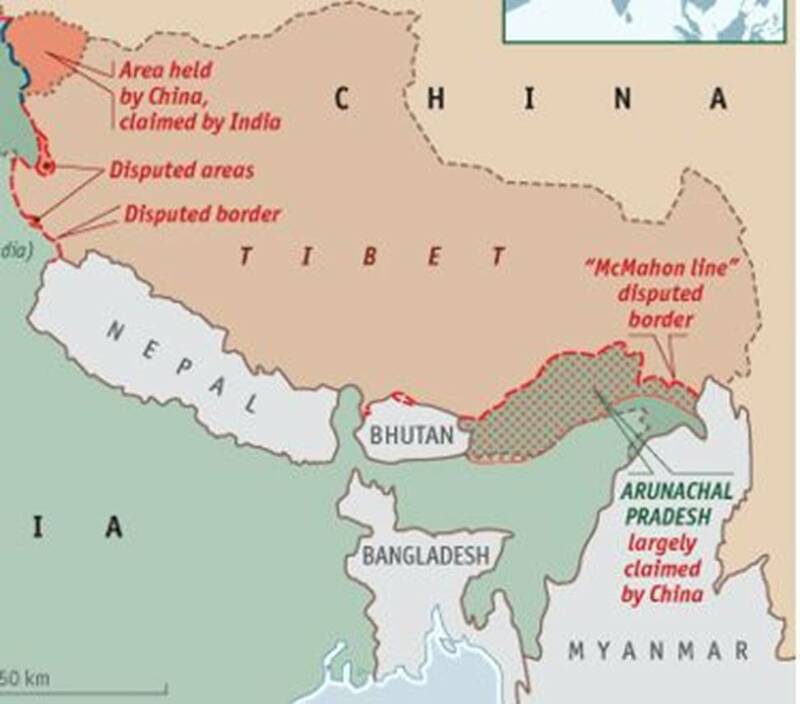 The area in Doklam where China tried to construct a road is a disputed territory claimed by both China and Bhutan. India sent its troops to stop the Chinese construction activity, saying it could be a threat to its strategic interests in the region. Since the Doklam standoff, India has deployed more troops and increased patrolling along the borders with China in the Tibetan region. 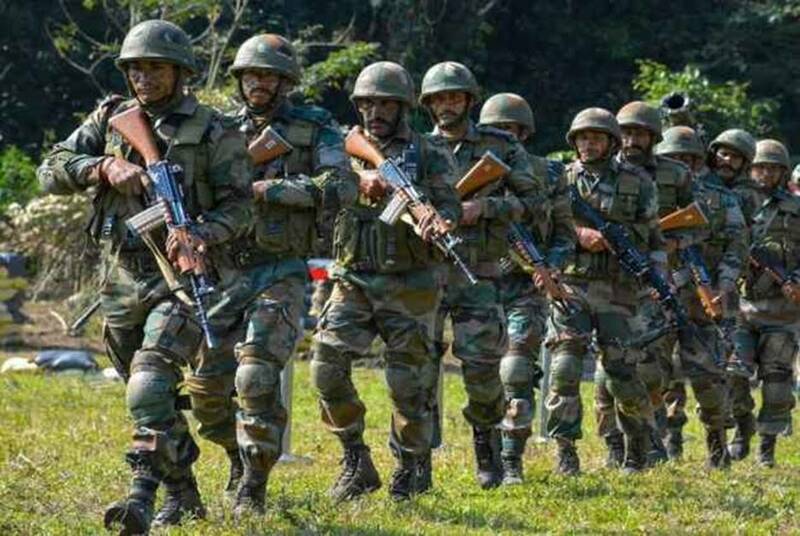 Another official said Indian troops have also enhanced their presence in all the areas in the Lohit Valley near the tri-junction. "There are 18 mountain passes in the region and we have been carrying out long-range patrols to all these passes regularly," he said. He further said," We have been carrying out war rehearsals regularly. You have to be in an offensive mode to remain in an advantageous position." China has been laying new roads and improving its overall infrastructure along the nearly 4,000km-long border with India. Defence Minister Nirmala Sitharaman said last month that China had undertaken the construction of helipads, sentry posts and trenches for its army personnel near Doklam. Sources said China has been keeping its troops in north Doklam and significantly ramping up its infrastructure in the disputed area. In January, Army Chief Gen. Bipin Rawat had said the time had come for India to shift its focus from its borders with Pakistan to the frontier with China, indicating the seriousness of the situation. WHOLE ANGEL – WHOLE HARMONY, Create a free website or blog at WordPress.com.